To start off the New Year we are going to try something a bit different to celebrate our Norfolk Trails network. There are over 1,200 miles of walks, cycle and bridle routes that make up the Norfolk Trails network, crossing through beautiful landscape. Along the trails are places packed with diverse wildlife and heritage, each offering something new and different that gives Norfolk its unique character. So, with so much to see and do it is about time to start a Norfolk Trails Bucket List – a list of experiences and activities along our Norfolk Trails network that everyone must do when in Norfolk. To kick things off we are going to start a list of 20 must-do activities on and around the Norfolk Trails. 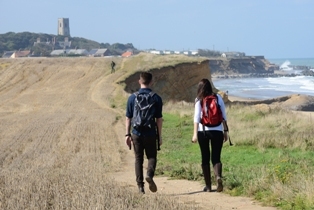 What will make the #NorfolkTrailsBucketList? A “must-do” or “must-see” along the trails that everyone must try when in Norfolk. Keep an eye on our Twitter and Facebook page where we will be posting some of our favourite ideas throughout January. There will be something new each day using the hashtag #NorfolkTrailsBucketList. 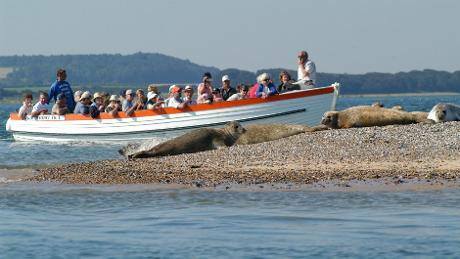 Go grey seal pup spotting by taking a boat trip to Blakeney Point on the Norfolk Coast Path. It’s a record breaking year for pups – last year, 1,566 pups were counted during the four month breeding season at Blakeney Point, and this year, so far 2417 have been born! Just remember to observe all signs and keep dogs on leads. 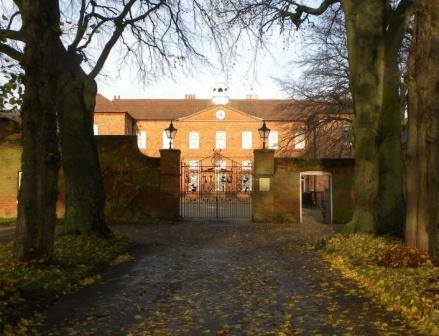 Combine a walk on the 12 mile Wensum Way with a trip to Gressenhall Farm and Workhouse museum, at the start (or end) of the trail near Dereham. A truly unique museum, you’ll discover an historic workhouse, a museum of life on the land, a traditional farm with rare breed animals and beautiful, unspoilt grounds – a must-see Norfolk gem open for February Half Term and throughout the spring/summer season. 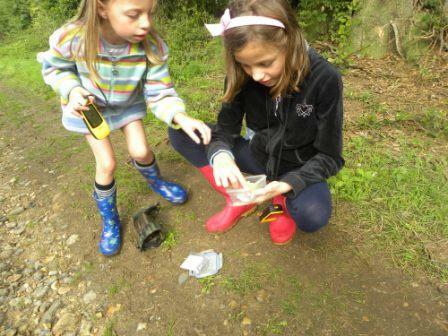 Geocaching; an exhilarating outdoor treasure hunting game using GPS. It’s the perfect adventure for all ages, making it a great must-do family activity. 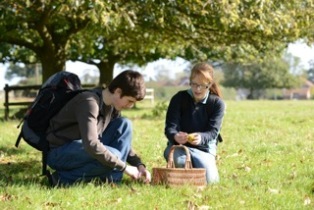 Try it at Castle Acre on the Nar Valley Way! 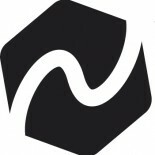 Capture all the Munzees on the Norwich Munzee Trail! Have fun answering our quiz questions while hunting and capturing each Munzee – all while discovering new places in Norwich. 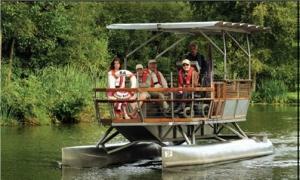 For the chance to see the stunning Broads wildlife while still being close to the city, try a boat trip on Britain’s first solar-powered passenger boat ‘Ra’. It takes groups around the Great Broad at Whitlingham Country Park and is found along our very own Wherryman’s Way on the edge of Norwich. 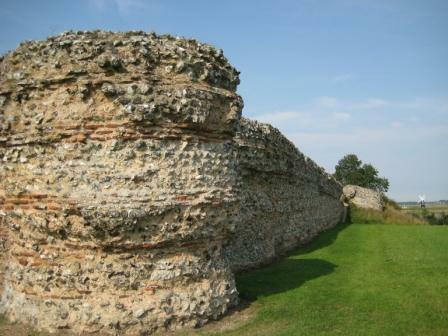 Explore one of Britain’s best preserved examples of Roman occupation – the ruins of Burgh Castle Roman Fort. These must-see ruins can be found along Angles Way near Great Yarmouth. Angles Way was voted Britain’s best waterside walk by waterscape.com in 2003. No matter what time of year it is, you can’t visit the Norfolk coast without eating fish & chips al fresco! 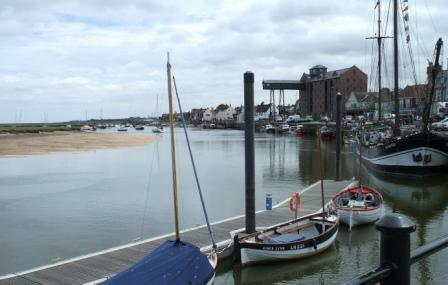 We recommend trying a local catch of the day on the quay at Wells-next-the-Sea, after a walk on the Norfolk Coast Path of course! Collecting windfall sweet chestnuts in autumn is both rewarding and easy. 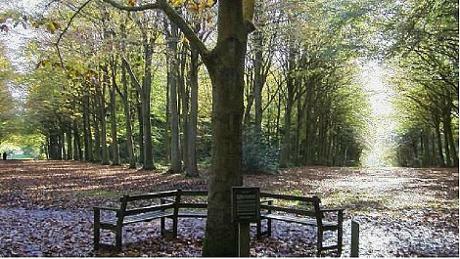 Try this quintessential autumnal activity by walking between Taverham & Attlebridge along Marriotts Way. Then take home your hoard and char over an open fire for a delicious, free treat. Best done after a windy night around October or November. Stargazing on the Norfolk Trails. We challenge you to find one of the sky’s most magnificent constellations – Orion! 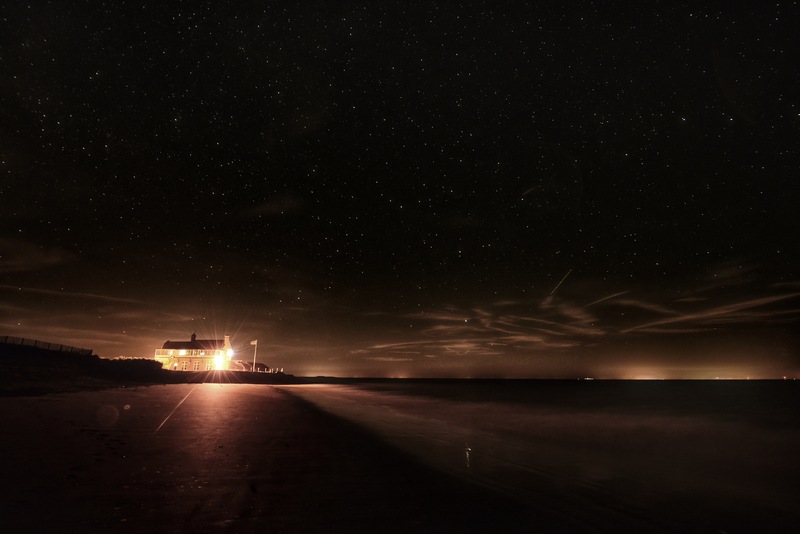 The Norfolk Trails run across huge stretches of Norfolk’s beautiful countryside where the skies are unaffected by the light pollution – making them the perfect place to star gaze. On a clear evening around January and February time, you should be able to catch this famous collection of seven bright stars in the southern part of the sky. 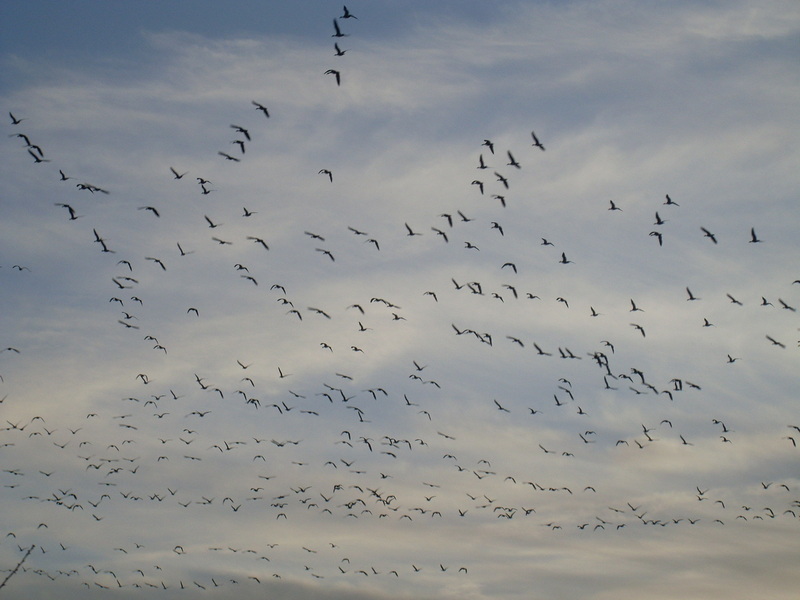 Witness what’s often described as one of the UK’s greatest wildlife sights – 1000s of pink-footed geese in flight. Seen only in the winter (when they come and visit our fine county) at either dawn or dusk, we recommend taking a walk along the beach to or from Burnham Overy, and then watching this truly breathtaking sight from Holkham. Walk down the beech-tree avenue at National Trust’s Felbrigg Hall. It is impressive all-year-round but particularly beautiful in its autumn splendour – a truly hidden gem found on the Weavers’ Way. 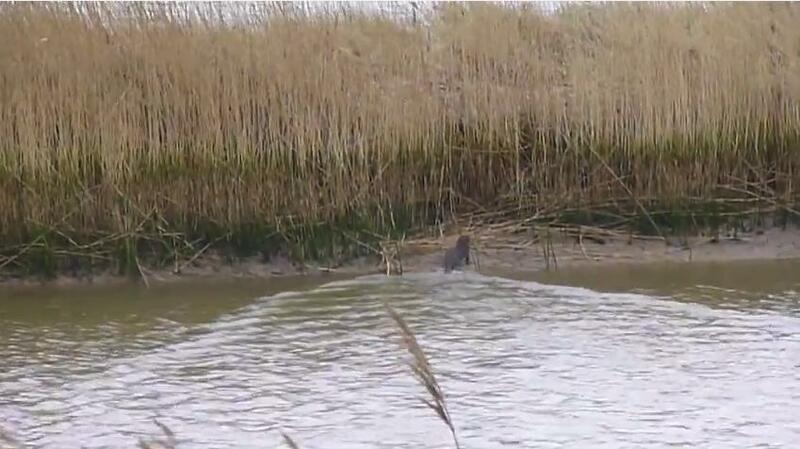 Otter spotting has to be one of the most challenging activities on our #NorfolkTrailsBucketList, but is a fantastic experience if you’re lucky enough to see one in the wild. Probably easiest to spot in winter, we recommend exploring the Wherryman’s Way from Berney Arms to Reedham. Keep a sharp eye out for those webbed paws and whiskered brown snouts in the river and channels running next to the path. Being semi-aquatic and nocturnal they may be elusive little creatures, but as the temperature drops, they can sometimes be seen hunting in daylight. You’ll need a bucketful of patience and a flask of something hot, but trust us, it’ll be worth it! 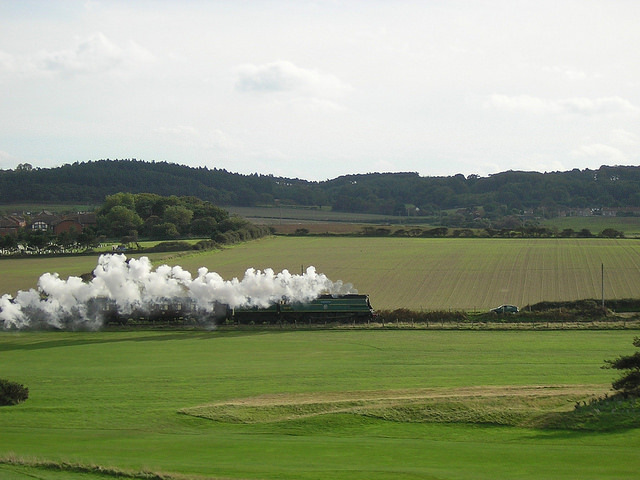 Take a unique train ride on the North Norfolk Railway – a heritage steam railway, also known as the Poppy Line, that runs between Sheringham and Holt. 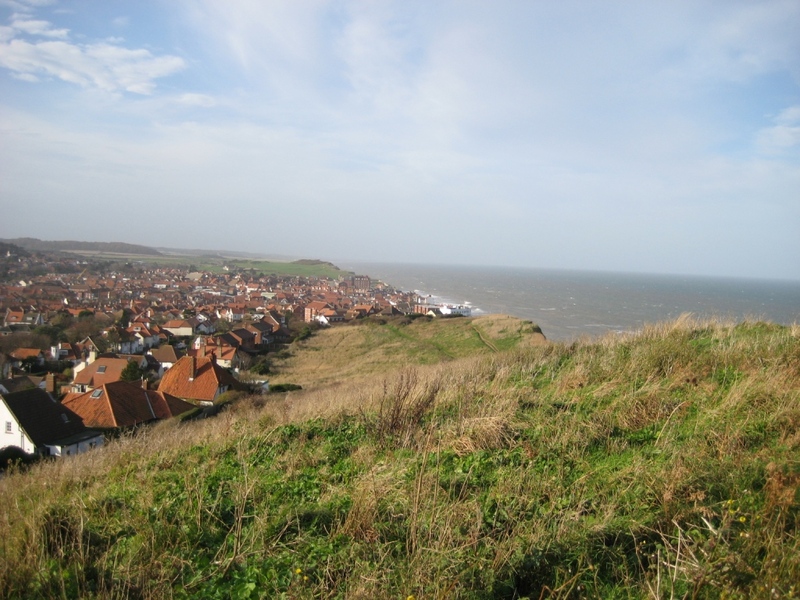 After chugging through some of Norfolk’s stunning coastal countryside, ‘alight’ at Weybourne and enjoy the scenery at a slower pace by walking back to Sheringham on the Norfolk Coast Path. 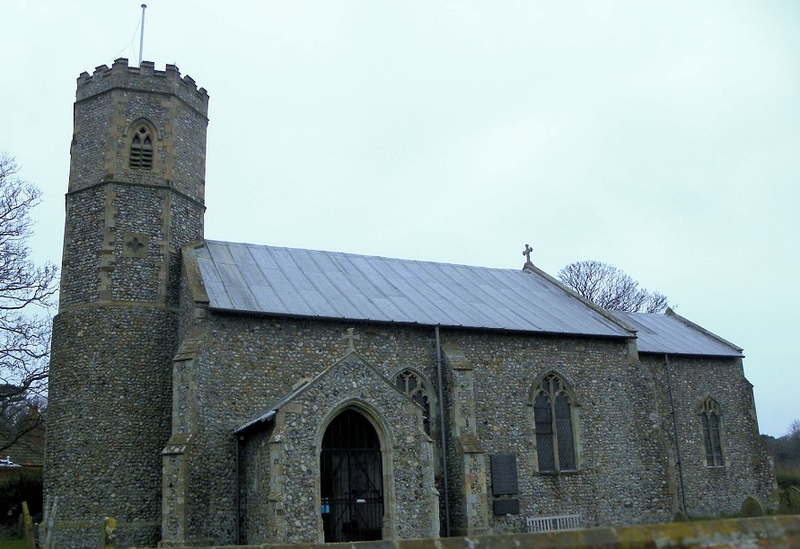 Walk the new section of Norfolk Coast Path from Weybourne to Sea Palling and climb up the tower of St Mary’s Church at Happisburgh. At 110ft high, the only way to the top is by tackling 133 spiral staircase steps. But if you make it, you’ll get treated to outstanding views of the coast and countryside, and on a clear day, you can see 30 churches! 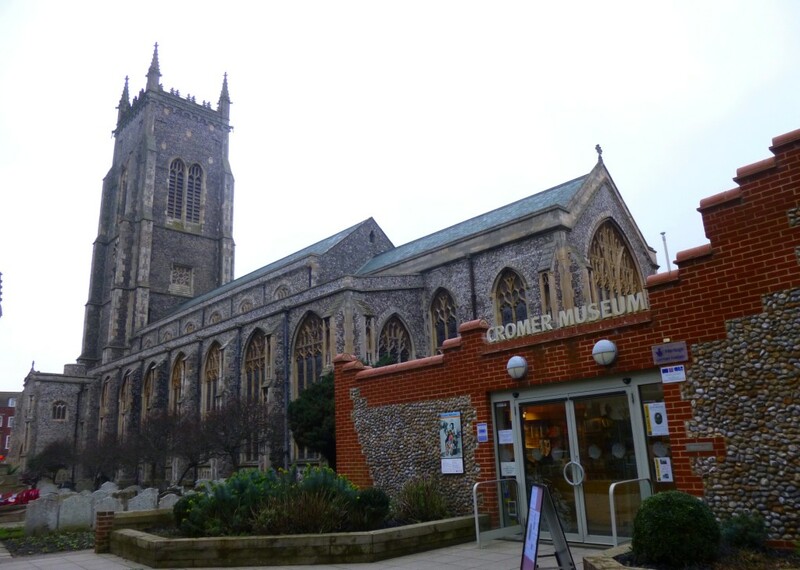 While out exploring the beautiful trail Paston Way, make sure you swing by Cromer Museum (seasonal opening), where you’ll find some of the famous 700,000 year old West Runton Elephant fossils among its displays. See the incredibly rare Romanesque wall paintings in St Mary’s Church at Houghton on the Hill, just off the Peddars Way. The polychrome paintings were found during restoration work in 1996. Upon discovery, they were soon established to be of major significance with aspects of the iconography suggesting they date back to the late 11th century. After a wintry walk on the Boudicca Way, enjoy the cosiness of an open fire in one of Norfolk’s many countryside pubs. It may not sound adventurous, but there’s nothing quite like it! 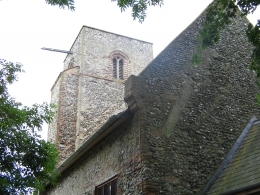 Visit St Michael Church in Sidestrand on the Paston Way. This church was famously moved, from its spot on the cliffs, stone by stone and rebuilt further inland following its last Christmas Day service held on the old site in 1880. Memories of the old church can be found in the headstones which line the churchyard wall by the road – definitely worth seeing! Run up “Beeston Bump” to build up an appetite for a well-earned pub lunch. Officially named Beeston Hill, it was once two symmetrical round flat-topped hills, reminiscent of enormous mole mounds. They were left behind when the glaciers moved at the end of the last Ice Age between 10,000 and 15,000 years ago! If you’re able to get to the top and back down again, you’ll have most likely built up a well-earned appetite for a pub lunch. Try somewhere in one of Norfolk’s beautiful seaside towns Sheringham or Cromer. 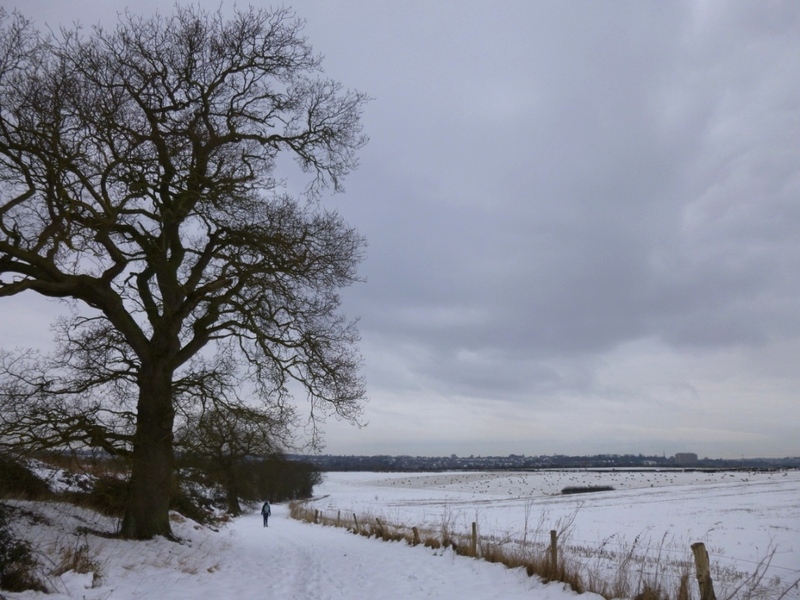 This entry was posted on December 31, 2014 by norfolktrails in Angles Way, Boudicca Way, Cross-Norfolk Trail, Explore by Project, Fen Rivers Way, Marriott's Way, Nar Valley Way, Norfolk Coast Path, Paston Way, Peddars Way, Weavers' Way, Wensum Way, Wherryman's Way and tagged Bucket List, cycling, horse riding, Norfolk Trails, Walking.